BINAURAL literally means, TWO-TONED. It is an audio interference effect (a 3rd 'ghost tone') produced when two different sound frequencies are listened to at the same time--- one in the right ear, one in the left. The resultant Bi-naural tone will be the difference between the two frequencies. FOR EXAMPLE... if the right ear hears a 300HZ tone, and the left 310HZ, the resultant Binaural Tone produced will be a 10HZ tone. The difference between the two frequencies must be small (less than 30HZ) for the effect to occur. It is a type of RESONANCE which has been documented to effect the brain on many different levels. AN EXAMPLE is provided here, from the Wikipedia page. Please note that headphones must be used for any effect to be noticed. 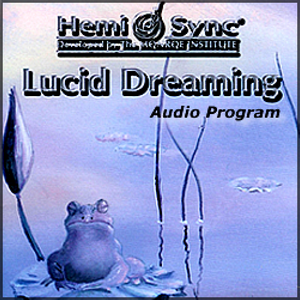 Another popular Binaural-based Lucid Dreaming system, was designed by Stephen LaBerge, the Father of all Lucid Dreaming studies. AUDIO AND VISUAL: The video and accompanying brochure, combine an audio-visual approach, akin to auto-hypnosis. This approach may be helpful for visual learners. 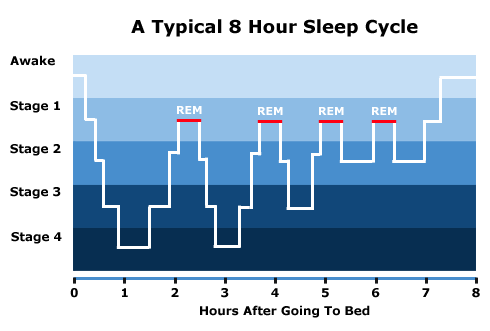 Your Sleep Track should incorporate a 'signal' or 'suggestion' (or both) to become aware you are dreaming, each time you hit REM sleep (see above diagram). These can be spoken affirmations, or auditory signals (bells, alarm sound, etc.). Actually, this topic overlaps with another link on the main LD Menu: THE TIMER METHOD, so be sure to build your custom track with reference to that Chamber Section. 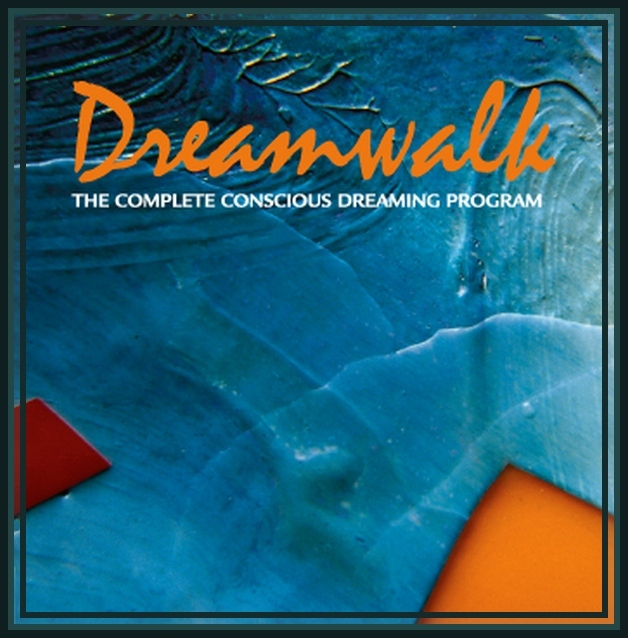 Below are several examples of such signals you can sandwich into your Dream Track at the appropriate times, but remember they should not be shocking enough to actually awaken you--- just to remind you gently that, "I am Dreaming Now." "Am I Dreaming?" loop Mp3. "Am I Dreaming?" mantra loop Mp3. 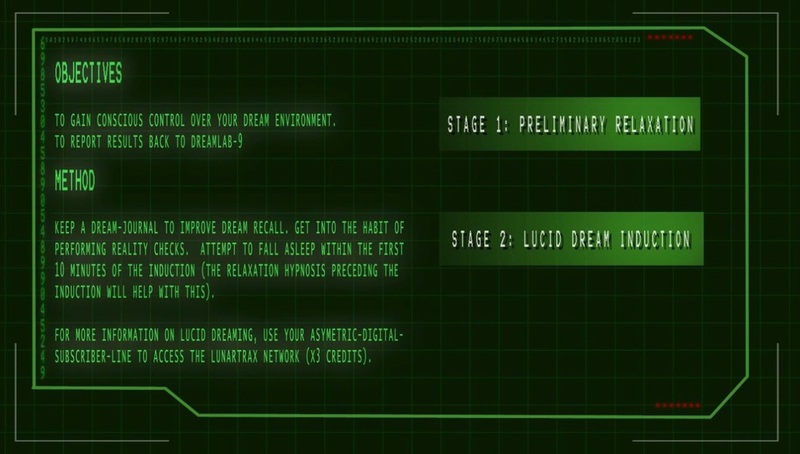 THE MATRIX LD 6-HOUR PROGRAM. This 6-hour program was adapted at New Forest NY, where we use the track at Summer Workshops. It is an arrangement of work offered freely on YOUTUBE by others, HOWEVER the original NFNY 8h-30min track we produced ourselves may be found in the TIMER INDUCED chamber on the main Lucid Dreaming menu HERE. The Mp3s below incorporate various verbal affirmations/ cues at 90-minute REM intervals; instead of a watch-alarm-sound, we opted for the opening rift of the Final Fantasy (FF) harp music, which is well-known by a large percentage of Dream Explorers.